The sleek look of this Indo-Western dress is all about classy style. 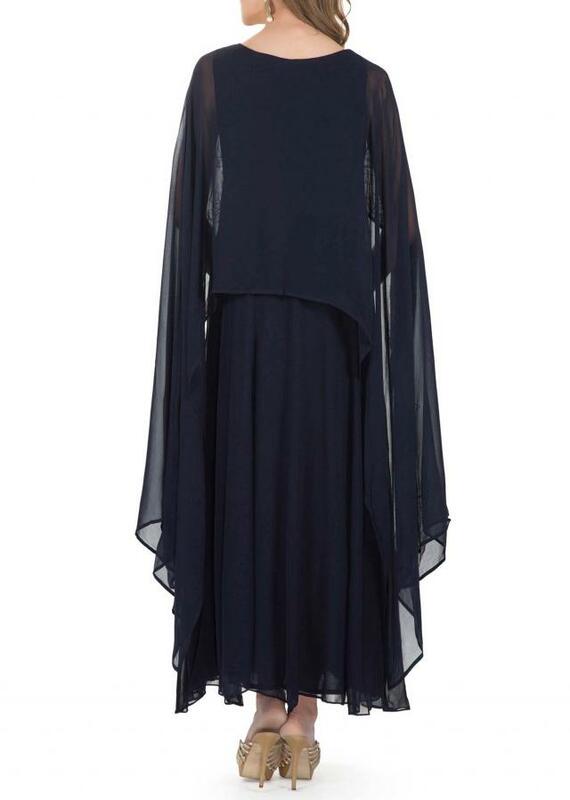 The georgette creation has a flared hemline. 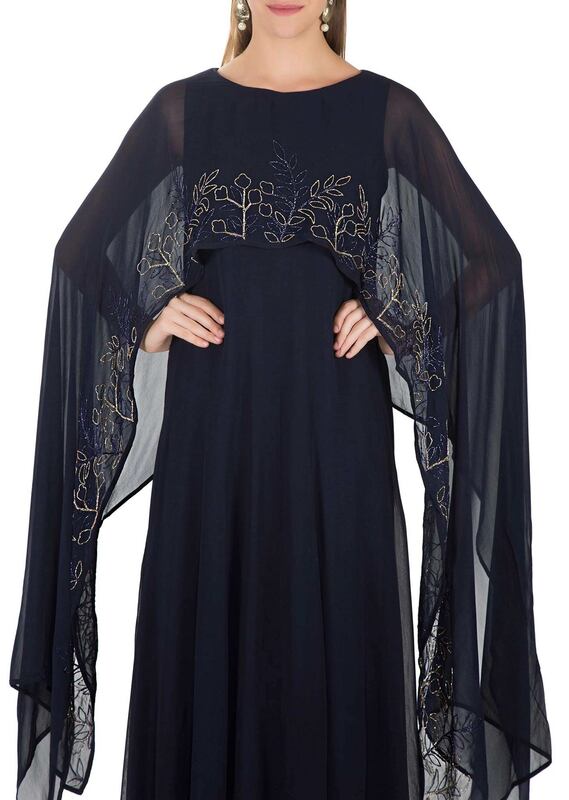 The round necked cape features cut dana embroidery in navy blue and gold hues. The cape also features an asymmetrical hemline.